If your vehicle’s wheels lock up, reduce braking pressure until the skid stops. 'Pump' the brakes. 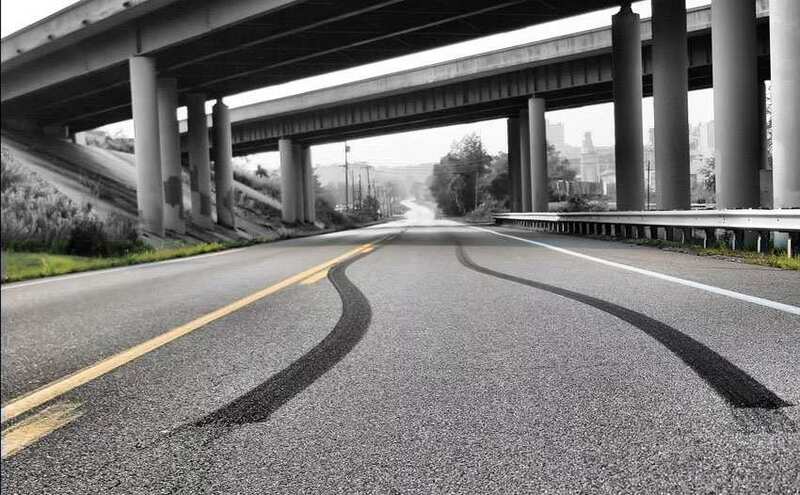 You can use ‘cadence braking’ where you pump the brake to simulate ABS, or ‘threshold braking’ where you keep the amount of tire slippage to a minimum. In either case, the situation is likely to preclude you thinking about what you are doing, and unless you have practiced cadence or threshold braking, it will most likely not be of benefit to you. Unless you are deliberately looking to purchase a classic car, the chances of you buying a vehicle that is not equipped with at least ABS is diminishing daily. With ABS you can brake as hard as you like, but your wheels won’t lock. This won’t stop you from skidding if you have turned too sharply, but it does mean that you can brake and retain more control of the vehicle. The advice regarding oversteering and understeering is still applicable. In an emergency, keep the brake pedal depressed as far as it will go, as long as you want to continue braking. Brake assist is a technology that gives you maximum braking power more quickly if the vehicle detects you are in an emergency situation. Electronic brake force distribution uses the ABS and ESC to apply the maximum braking power that each individual wheel is capable of. Older braking systems apply the same relative power to each wheel, but if one wheel is on a slippery surface such as gravel or wet grass, this will lock first. EBD will reduce the braking power on wheels that don’t have as much friction so that they don’t lock and skid. In the future we will see less and less skid marks on the road. Vehicle technology will continue to improve, including technology that anticipates danger ahead and automatically slows the vehicle. Tire technology will also continue to improve, giving us tires that displace surface water better and also provide better traction on both wet and dry surfaces.